Frederick Douglass is remembered as one of the leading abolitionists in American history. His revolutionary thoughts as a former slave turned political leader and orator served as a major foundation of antebellum anti-slavery ideology, culminating in emancipation. Less known, however, is how Douglass propagated abolitionist thought and re-energized the transatlantic debate on the world stage after the British Empire approved emancipation, yielding international power to push America into action. Douglass frequently communicated with other abolitionist contemporaries, working alongside freedom fighters globally. For this walking tour of Paris, you will find destinations 1) where Douglass and other abolitionists were in conversation with each other, and 2) where they developed their own abolitionist thought — all with the intent of returning home to America to enact social reform. This walking tour of Paris is designed for people interested in the history of American slavery, especially those intrigued by how global forces helped dismantle the American slave system. It is also a great option for anyone excited to learn about the unprecedented opportunities Paris presented for abolitionist Frederick Douglass and other American abolitionists during the 18th and 19th centuries. To navigate our walking tour, we recommend that tourists walk and use the metro system. While the cost for a metro pass varies (a week’s pass costs 22 euros while a single-use ticket costs 1.90 euros), it is definitely much cheaper (and more efficient) than taking a taxi or Uber, or renting a car and parking. Below the title of the locations, you will find a link to the audio version of this tour so you can sit back, relax, and enjoy the tour while on the streets of Paris or while sitting at your home. In crafting this tour, we consulted historical archives pertaining to the migration of Douglass and other abolitionists to Paris. We examined Douglass’ narrative to find the Parisian cafes he frequented, and analyzed photos of Anna J. Cooper to study her legacy at Sorbonne University and in America. We probed Henry Ingersoll Bowditch’s abolitionist intentions for seeking medical training at La Pitie. One common thread that we found between these abolitionists was how they came to Paris to gain skills — legal, medical, oratorical, educational, and cultural– that they could bring back to America and push for the abolishment of slavery. Ultimately, from this tour, we hope that you will gain a sense of how America’s institution of slavery sat within the greater context of the globe. We hope that you will gain a sense of the transnationalism and interconnectivity of the American abolitionist movement, the ways in which its war on the institution of slavery in the United States was contingent upon transnational activism that involved actors across the world. We have crafted a timeline detailing several key events in the lives of prominent abolitionists. This serves as a foundation to understand the interactions explored later on in this walking tour. The audio for each tour stop is available as a SoundCloud file (below). You will also find the matching transcript. Avenue des Champs-Elysées from top of Arc de Triomphe de l’Etoile in Paris, France. Looking for excitement in the City of Lights? Follow in the footsteps of Frederick Douglass by taking a scenic stroll down Champs Elysees as you journey toward the famous Arc de Triomphe. Located at Place Charles de Gaulle, begin your adventure on the metro line 9 toward Pont de Sevres and then hop off at the Franklin D. Roosevelt stop. Then, transfer to line 1 toward La Defense until you’re at George V stop. As soon as you emerge from the metro, you will see Paris’ signature trimmed lush trees and bustling city life. The Arc de Triomphe at the center of the place Charles de Gaulle, Paris. Douglass’ walks with Tilton represents a larger freedom Frederick Douglass experienced in his time in Paris: freedom of assembly and of movement. In the United States, there were many written and unwritten rules restricting black movement and behavior. Casual interactions with white people could easily lend itself to a violent confrontation under unfortunate circumstances, however, in Paris, Douglass and Tilton could openly meet and even be recognized as kin. A hospital tour? You bet! Don’t be alarmed – Hôpitaux Universitaires Pitié-Salpêtrière is fascinating. Founded in 1656, this hospital is located in the 13th arrondissement at 47-83 Boulevard de l’Hôpital, 75013 Paris, France, and functions as an educational medical center. The hospital grounds, however, consist of gardens, a café, and other scenic locations to peruse and relax at. (We have attached a photo of the hospital grounds map.) To get to the hospital, you can take a Metro Line that connects with Metro Line 5, and then go from Metro Line 5 (towards Place d’Italie) to the stop at St.-Marcel. From there, you can walk for less than 0.2 miles to the hospital, which can be arrived at by following signs right outside the metro stop. Though the hospital is open at all hours and there are no entrance fees (unless you decide to park at the hospital), entrance may be limited to patients (and relatives) at certain hours, though none are listed online. During the day, however, access to the hospital grounds is almost always open and free. This relates to the hospital because had Bowditch’s exposure to Douglass’ ideology–as well as his need to travel to Paris in the first place–was solely contingent upon his decision to practice medicine at the hospital. And thus such exposure to Douglass’ abolitionism in Europe influenced Bowditch to advocate abolitionism at home and treat Douglass, as well as other Black Americans, with equality. As a radical Christian abolitionist, Bowditch strongly opposed the Fugitive Slave Act of 1850, which allowed for white slave-owners to seize upon their escaped slaves (even those who were free) as their rightful property. In response, Bowditch vocalized his belief that, by the ethics of the Fugitive Slave Act, individuals should thus be legally entitled to hold slave-owners captive until they released their slaves. For, if self-autonomy was denied to one people, why should it not be denied to the other peoples? Had Bowditch not continued his studies at Hôpitaux Universitaires Pitié-Salpêtrière, he likely would not have been exposed to the abolitionist ideals of Frederick Douglass, who toured Europe (including Paris) to call for foreign support for the abolishment of slavery in America. Though Bowditch’s messages were not well received by many of his fellow white Americans, especially those who were pro-slavery, his voicing of such messages sparked the abolitionist fire amongst the white community. And it is largely because of Bowditch’s training at this Parisian hospital that he was able to become prominent in the medical community (and thus in American society) and propel his abolitionist messages to a greater audience. One of the must-sees in Paris, which we have included on our walking tour, is Sorbonne University, otherwise known as the University of Paris. Founded circa 1150, the Sorbonne was a liberal arts university that operated until 1793, and then again from 1806 to 1970. Since then, the Sorbonne has come to be known as Paris-Sorbonne University—a public-research institution—which is now located in the 5th arrondissement at 1 Rue Victor Cousin, 75005 Paris, France. To get to the University by way of public transport, you can either take the metro and exit at the Odéon stop on Metro Line 4 to Montrouge, or you can take Bus 85 towards Luxembourg and exit at the Les Ècoles stop. From either stop, the Sorbonne is less than a 0.5-mile walk away, which is directed by street signs that can be found upon leaving the stops. Entrance to the campus is free, unless you are planning to drive your own vehicle and park nearby, in which case there is a parking fee. However, while the university technically operates at all hours, its campus is often only accessible to students and faculty who have IDs, especially during union strikes which occur sporadically. Nevertheless, walking around the perimeter of campus is a marvel in itself. For the extent of our walking tour, we will be focusing on the Sorbonne in relation to one notable alumna: Anna J. Cooper. It was here at the Sorbonne that, in 1925, Cooper not only successfully defended her doctoral dissertation, but she also became the first black woman to receive a Ph.D. from the Sorbonne. Cooper received her Ph.D. in history, and so our group has included site-specific photos to the history wing of the Sorbonne, where Cooper studied almost a century ago. Much of scholarship revolving around Cooper’s life details how she used her education (both her Ph.D. from the Sorbonne and her degree in mathematics from Oberlin College) to help educate other African Americans; indeed, Cooper spent many of her post-undergraduate years teaching math, Latin, and Greek to high-schoolers in an effort to debunk the fallacy of the racial inferiority of African Americans. Yet, another fascinating aspect of Cooper’s work is how she used her writings and own scholarship to inspire activism and social change. That Cooper was able to successfully defend this message—a message which essentially revealed the evil behind France’s past complicity to slavery—was monumental. In Cooper’s dissertation, her conceptualization of slavery expands on Douglass’ notion of slavery as a robbery of knowledge, for it further describes slavery as a race-based institution through which one is robbed of choice. Gaining the recognition and support of the faculty at the Sorbonne ultimately allowed Cooper to mobilize international forces in scholarship against the institution of slavery in the United States and its proponents. Shernae Hughes reading Giovanni’s Room by James Baldwin. and you will turn left onto Rue Saint Honore, where your destination will be on the right. According to Theodore, Café de la Régence was a hub for intellectual thought and international chess matches. It remained the center of chess in the 18th and 19th centuries, hosting a number of tournaments in its prime. Notable figures from Rousseau to Karl Marx met here when mulling through their philosophical stances. 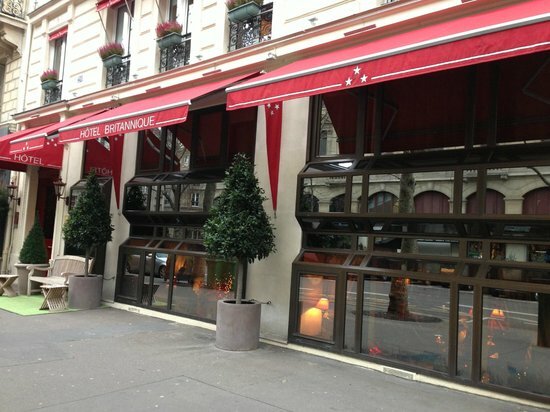 Café de la Régence became a restaurant in 1910 but still pays homage to its rich past. , published Frederick Douglass’ letter penned by Douglass in 1885. In this letter, Douglass describes a common sentiment that other African American figures felt when they traveled to France–a feeling of being ver welcomed with open arms and respected. However, he feels frustrated with Ethiopian singers as they gave the impression that people of color are “more akin to apes than to men.” He also sheds light on how these singers perpetuate the false stereotypes typically associated with people of color and how it “averts [people of color] from the sympathy of civilized Europeans.” He goes on to explain that when he delivers his speeches, he ensures to present his best in order to defeat those stereotypes about the Black man. On a more positive note, he recounts about his encounter with then Senator and Abolitionist, Victor Schoelcher. In 1848, Victor Schoelcher drafted an ordinance which freed slaves from all French colonies. In their meeting, Schoelcher shared that he was in the process of writing a biography on Toussaint L’Ouverture, the man who Douglass refers to as the “hero of Haytien independence and liberty.” Douglass brings up Alexandre Dumas, a brilliant French writer, to criticize him for never advocating for people of color and mentions how Victor Hugo, another infamous writer, is more likely to speak for people of color. In fact, Douglass said that he would only see Alexandre Dumas’ statue “as it is an acknowledgement of the genius of a colored man, but not because [Douglass] honor[‘s] the character of the man himself.” Frederick Douglass is also appreciative of his visit to the Louvre, because his knowledge on ethnography and “pro-slavery agitators” Josiah C. Nott and George Glidden grew. You will be at the location where Frederick Douglass poured his heart out, his frustration and the moments which warmed his heart. Who knows? Maybe you’ll be encouraged yourself to pen a detailed letter of your experience so far in Paris to your friends. Do not be intimidated by this stop! The Hôpital Saint-Louis, located at 1 Avenue Claude Vellefaux, 75010 Paris, France, is open all hours. The site can be reached by either 1) taking Metro Line 8 (towards Créteil) to the stop at Republiqué or 2) taking Metro Line 8 (towards Créteil) to the stop at Republiqué, transferring to Metro Line 11 (towards Mairie des Lilas), and getting off at the stop at Goncourt. Whereas the walk from the Republiqué stop to the hospital is about 0.5 miles, the walk from the Goncourt stop is roughly 0.2 miles. Both walks are quite scenic, and signs lining the streets direct you to the hospital. Parking at the hospital is very limited (especially to patients who require care), and therefore it is recommended that you use public transportation. Hôpital Saint-Louis has existed since 1611. We have included Hôpital Saint-Louis on our tour because it was here that John Rock (an abolitionist, dentist, doctor, lawyer, orator, and civil rights leader) traveled to in order to receive medical treatment. Following the decision of the Dred Scott case in 1857, Rock found difficulty in traveling, even to receive vital medical treatment. Nevertheless, sometime between 1857 and 1859, Rock managed to receive a passport, and he traveled to Paris—and specifically Hôpital Saint-Louis—to receive medical care from the world-renowned physicians Auguste Nelaton and Alfred Armand Velpeau. It was thanks to this medical treatment from the French physicians that Rock was able to return to Boston in February 1859. Recovering from his operations, Rock decided to give up his medical and dental practices and decided to study law. As a lawyer, Rock was a vocal opponent of the Fugitive Slave Act of 1850. In 1862, he worked with Frederick Douglass at the Anti-Slavery Society in Boston to voice opposition against Lincoln’s plan to establish an ex-slave colony in Haiti. 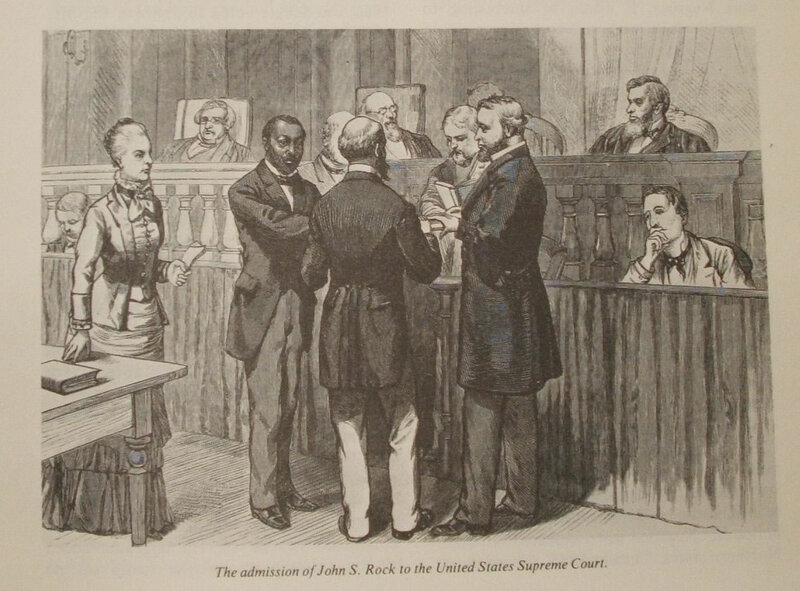 In addition to passing and being admitted to the Massachusetts Bar, on February 1, 1865 (the day after the passage of the 13th Amendment of the US Constitution), Rock became the first African American to be admitted to the Bar of the Supreme Court of the United States (pictured below). Without the medical treatment Rock received at Hôpital Saint-Louis, it is likely that he would never have pursued the law – and it is even more likely that Rock might not have lived, and the world would not have benefited from his successful advocacy of abolitionism. Without the medical treatment that Rock received in Paris, he surely would not have lived, or even continued to develop his legal career in America which culminated with his admission to the bar of the Supreme Court. Alexandre Dumas is one of those men who could be called the sowers of civilisation; he creates a thirst for reading: he opens up the human heart and cultivates it. 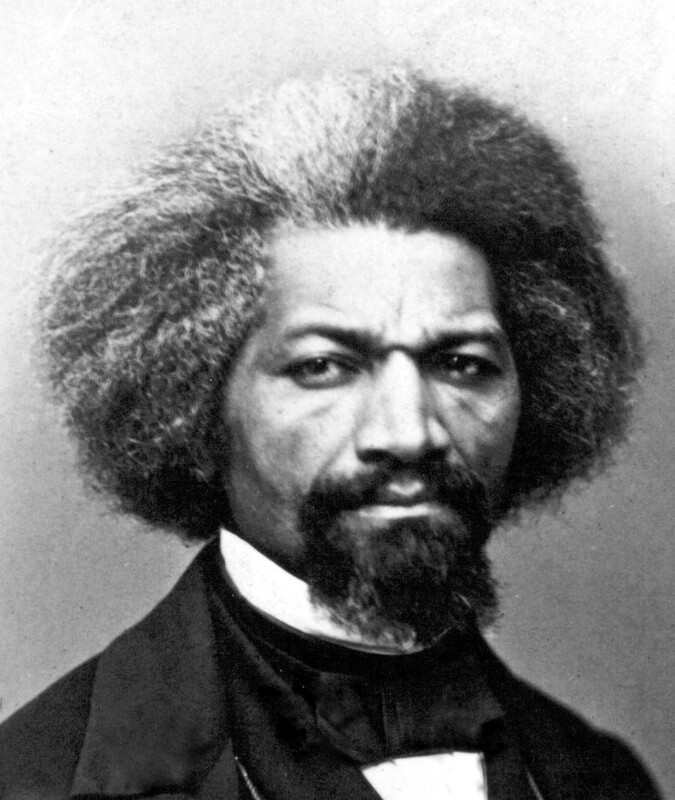 Douglass was a strong proponent of racial positivism and awareness, arguing it to be the key for a “hopeful future of race relations.” He believed it to be pivotal that at the time and in the future, “every colored man should now feel himself to be a representative of race, and that success or failure, the glory of shame of his whole people depend in some measure upon his exertion.” Although Alexandre Dumas was proud of his African heritage, he did not take the time to “feel himself to be a representative of race” and use his platform to bring these prevalent issues to light. In order to achieve the goal in defeating stereotypes against people of color, Douglass affirmed that the way to achieve this goal is for people of color to “develop their own traditions…and above all, they had to accept and respect their blackness.” In Frederick Douglass’ own words, “if the colored people will continue to strut about in the mental ‘old clothes’ of the white race and refuse to think for themselves, they will be a disgraced race.” In other words, black people had to grow out of the “psychology of racial oppression” and quit succumbing to the societal norms constructed by the white community. They must learn how to “socially and intellectually” dominate the world and achieve full liberation one day. Tired already? Yes? We would be too after acquiring a wealth of information about Frederick Douglass’ experience here in Paris. However, you don’t need to worry because you can sit back, relax, and enjoy a delicious pastry, or if you’re really hungry, their delicious penne au saumon is to die for. Enjoy the rest of your stay in the City of Lights and make sure to keep an eye out for hidden and overt monuments dedicated to African Americans in Paris! Au revoir! “A Career Unique,” Excerpt from Theodore Tilton’s Sonnets to the Memory of Frederick Douglass.” Frederick Douglass in Washington, D.C.: The Lion of Anacostia. January 29, 2018. Accessed June 01, 2018. https://thelionofanacostia.wordpress.com/2018/01/29/a-career-unique-excerpt-from-theodore-tiltons-sonnets-to-the-memory-of-frederick-douglass/. “Anna Julia Cooper – First African American to Earn a Ph. D. at the Sorbonne.” Remembering Chester Himes. Accessed June 01, 2018. http://entreetoblackparis.blogspot.fr/2017/03/anna-julia-cooper-first-african-african.html. “Bowditch, Henry I. (Henry Ingersoll), 1808-1892 @ SNAC.” Social Networks and Archival Context. Accessed June 01, 2018. http://snaccooperative.org/ark:/99166/w6sf3174. “Called Douglass’ Brother.” Library of Congress- The Washington Herald. May 26, 1907. Accessed June 01, 2018. https://chroniclingamerica.loc.gov/lccn/sn83045433/1907-05-26/ed-1/seq-7/#date1=1907&sort=date&rows=20&words=Douglass Frederick&searchType=basic&sequence=0&index=12&state=District of Columbia&date2=1907&proxtext=frederick Douglass&y=0&x=0&dateFilterType=yearRange&page=2. Cooper, Anna J. L’Attitude de La France A L’Egard de L’Esclavage Pendant La Révolution. Paris: L’Université de Paris. 1925. DOUGLASS, FREDERICK. NARRATIVE OF THE LIFE OF FREDERICK DOUGLASS, AN AMERICAN SLAVE. S.l. : BROADVIEW PRESS, 2018. Douglass, Frederick. “Letter From Hon. Frederick Douglass.” Boston Evening Transcript, 1886. Accessed 2018. Fabre, Michel. From Harlem to Paris: Black American Writers in France, 1840-1980. Urbana: University of Illinois Press, 1993. Martin, Waldo E. The Mind of Frederick Douglass. Chapel Hill: Univ. of North Carolina Pr., 1997. Tilton, Theodore. “Sonnets To The Memory of Frederick Douglass.” Library of Congress. 1895. Accessed June 01, 2018. https://www.loc.gov/resource/mfd.15011/?sp=1. “Theodore Tilton: Called Frederick Douglass Brother on the Streets of Paris.” Frederick Douglass in Washington, D.C.: The Lion of Anacostia. Accessed June 01, 2018. https://thelionofanacostia.wordpress.com/tag/washington-herald/. Unknown. “Abolitionists and Anti-Slavery Activists.” American Abolitionists and Antislavery Activists: Conscience of the Nation. February 11, 2018. Accessed June 1, 2018. http://www.americanabolitionists.com/abolitionists-and-anti-slavery-activists.html.